The Scubapro’s Ladyhawk offers a superior women’s BCD with all the great technical features you need in a back flotation BCD. Small Blue Only for this special with standard inflator 2015 Model. Members earn 860 Points on this purchase! 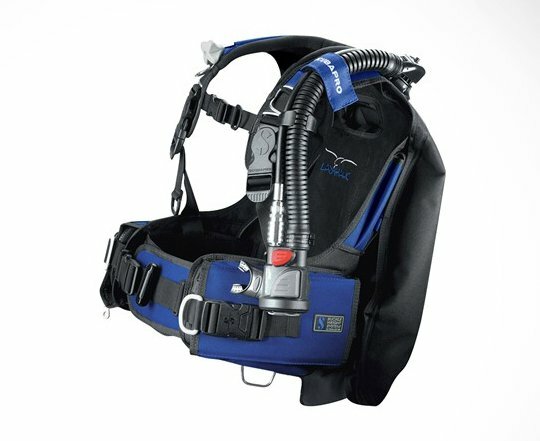 The Scubapro’s Ladyhawk offers a superior women’s BCD with all the great technical features you need in a back flotation BC yet with a streamlined female-specific cut and design. This back flotation jacket is thoughtfully tailored to enhance the female diver’s experience and represents a new dimension in optimized load distribution, freedom of movement and comfort. Product shown with Air 2 Alternate Octopus.